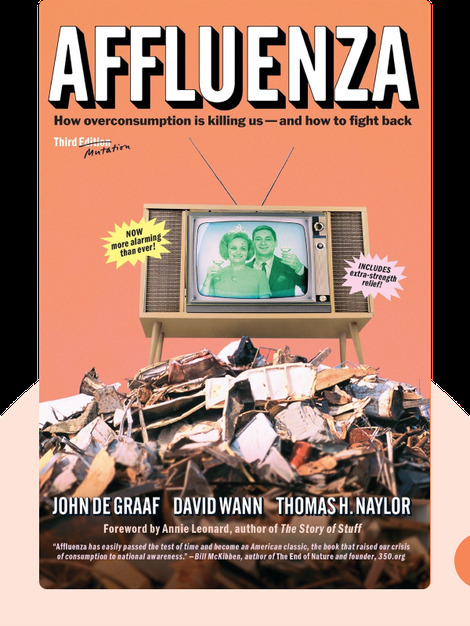 This book is about our serious addiction to consumption: affluenza. Since the Industrial Revolution, we’ve become addicted to shopping, believing we can buy happiness. 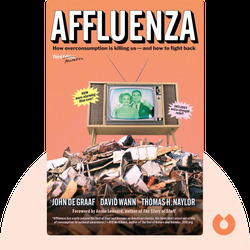 Affluenza affects us and our society like a disease, and this book offers advice on how we can immunize ourselves against it. John de Graaf has won over a hundred awards for documentary film making and is cofounder of The Happiness Initiative. Environmentalist David Wann is president of the Sustainable Futures Society, and the author of ten books, including The New Normal. Thomas H. Naylor was professor emeritus of economics at Duke University, and a radical thinker who was consulted by governments and major corporations in over 30 countries.